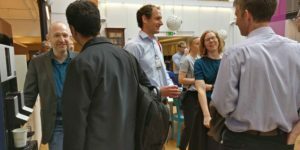 A seminar with the topic Materials and coatings for fuel cells and batteries will be given at RISE, Stockholm, at 27 March. For program and registration, read more here. A seminar with the topic Latest advances in characterization techniques for coating processes will be given at Linköping University at 26 November. 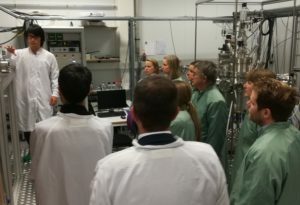 More than 30 attendants from industry and academy listened to our national and international speakers and got a guided tour at LiU’s facilities. We arranged a career day for Oscarsgymnasiet in Oskarshamn on 13 November. 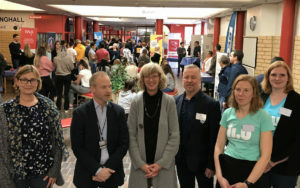 Nine companies from the municipality of Oskarshamn and Linköping University met students in secondary highschool to talk about work opportunities after higher education. Read more about it here (Swedish only). A seminar on Characterization of mechanical properties of surfaces and coatings was given at Swerea KIMAB, Kista at 22 May. We had more than 30 attendants from both industry and academia who listened to national and international speakers.